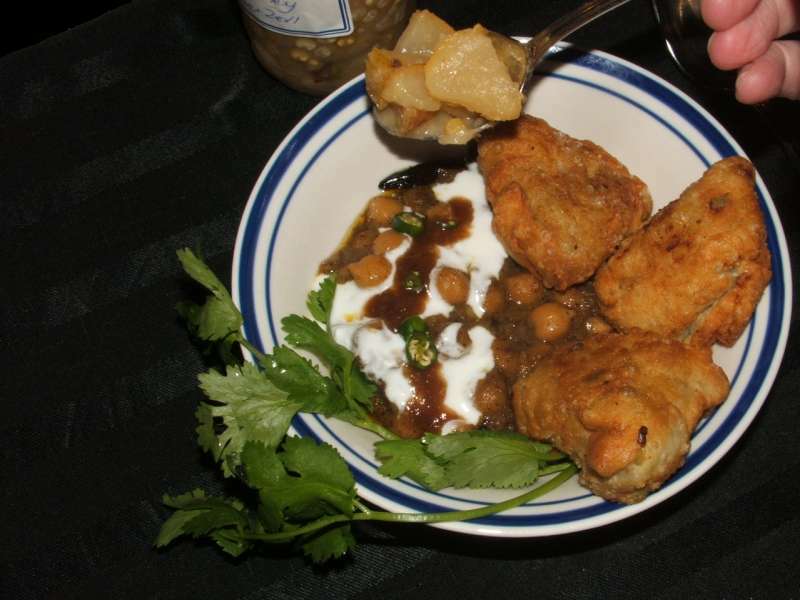 Chole (chickpea curry) is the perfect accompaniment for samosas filled with potato curry. 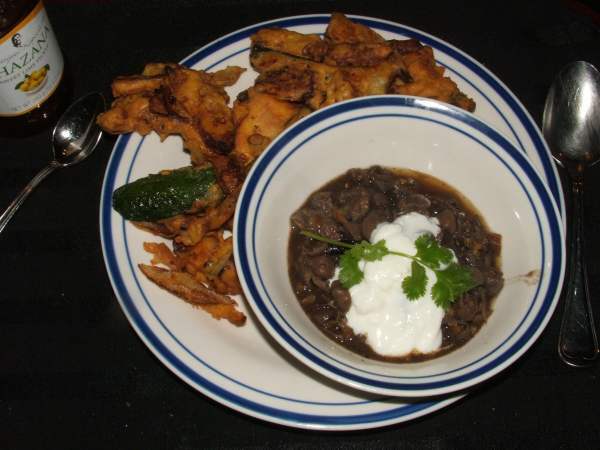 It goes equally well with pakoras. 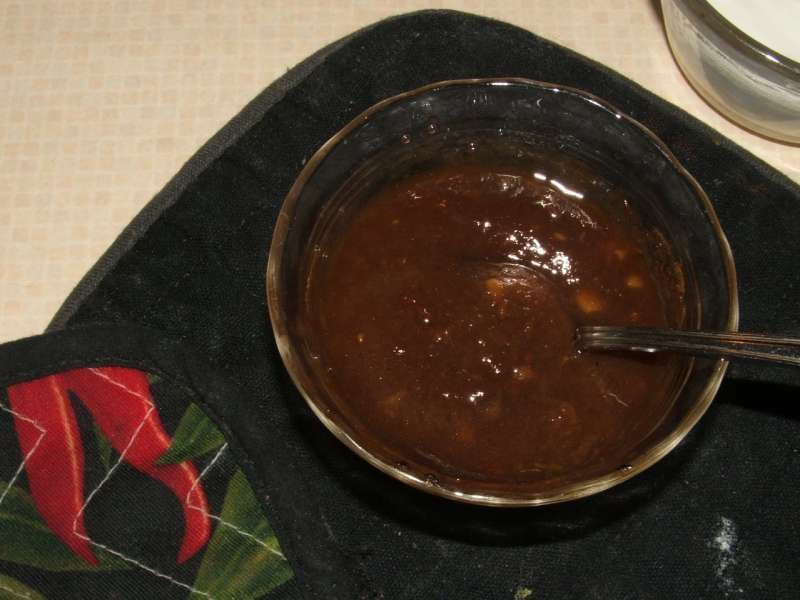 Serve chole with puliyinji, tamarind chutney, sweet mango chutney and/or pear chutney. 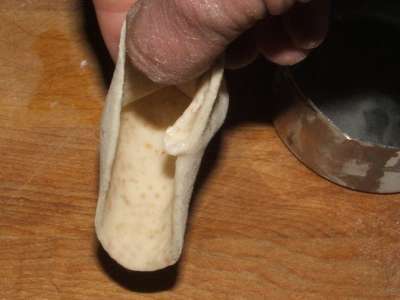 The dough is very similar to chapati dough, made simply with flour, oil, salt and water that is kneaded til smooth and then left to rest for about 30 minutes. 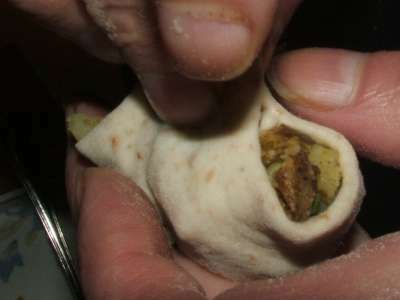 Then it is divided into equal portions and rolled out into thin rounds. Each round is then cut in half. 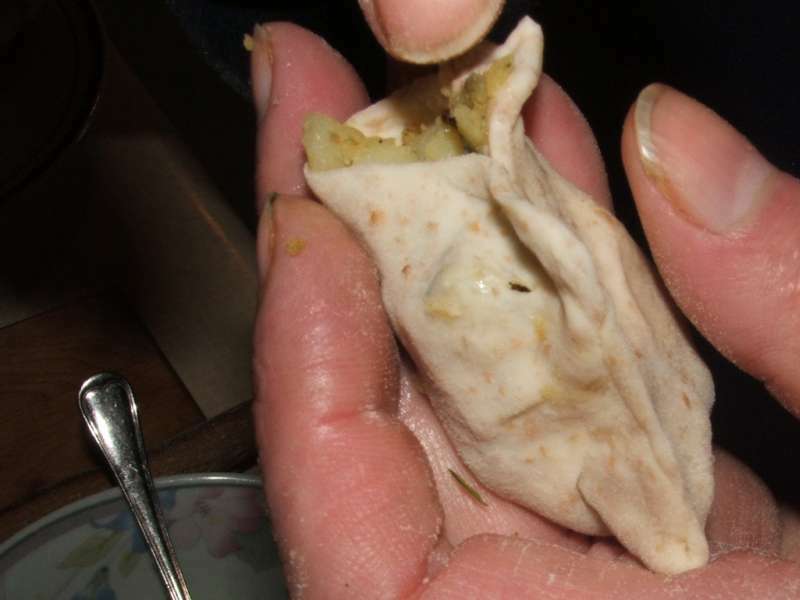 To assemble a samosa, dip your finger-tip in water and wet the edges. 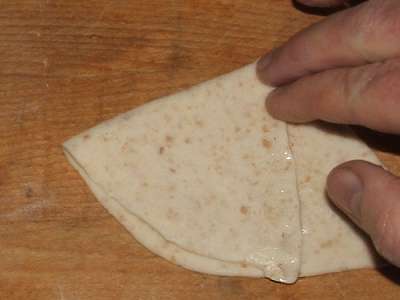 Fold over one third and seal the side. 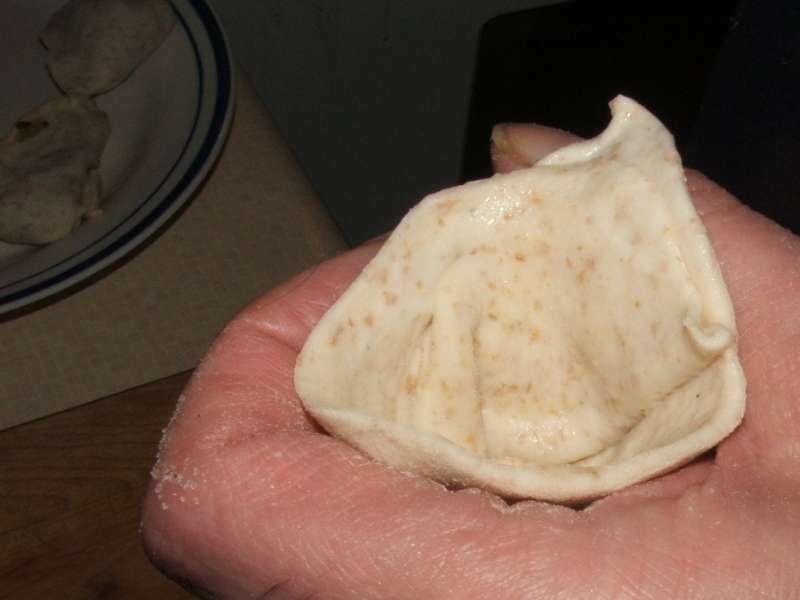 Lift it up as you fold over the other third to form a cone. 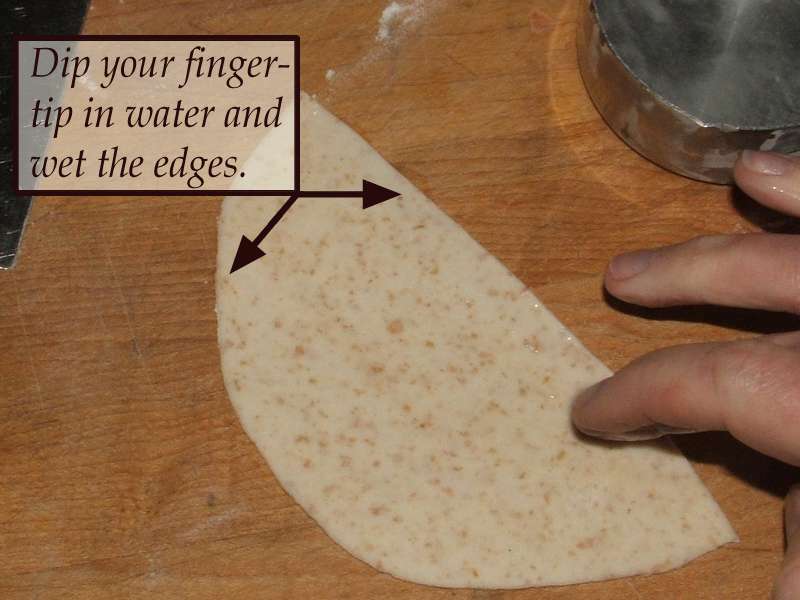 Hold the cone-shaped dough cupped in your hand for easy filling. Spoon the filling in and pinch the edges shut well. 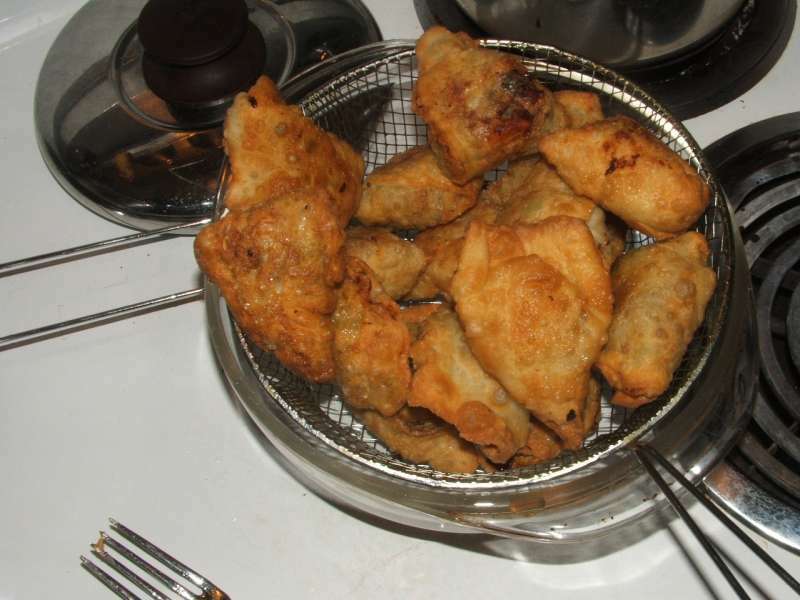 Heat oil in a pot and fry the samosas - but not too many at a time! 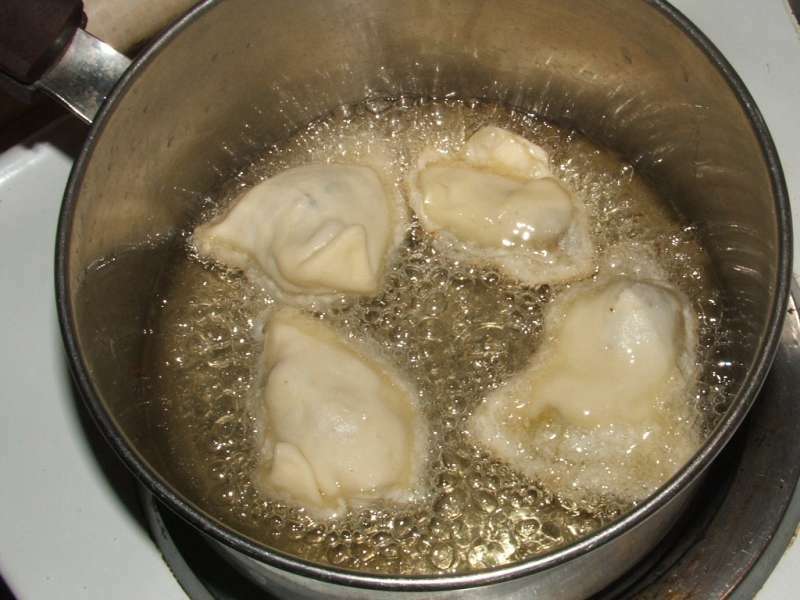 Make sure it's easy to turn them over with a fork or slotted spoon so they get golden all over. 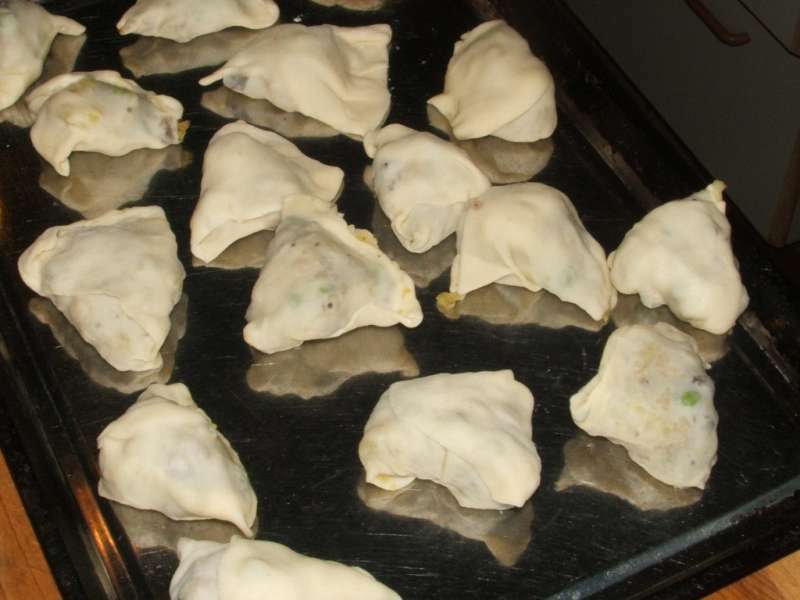 Once they are done, place them in a basket to drain until it's time to serve them. 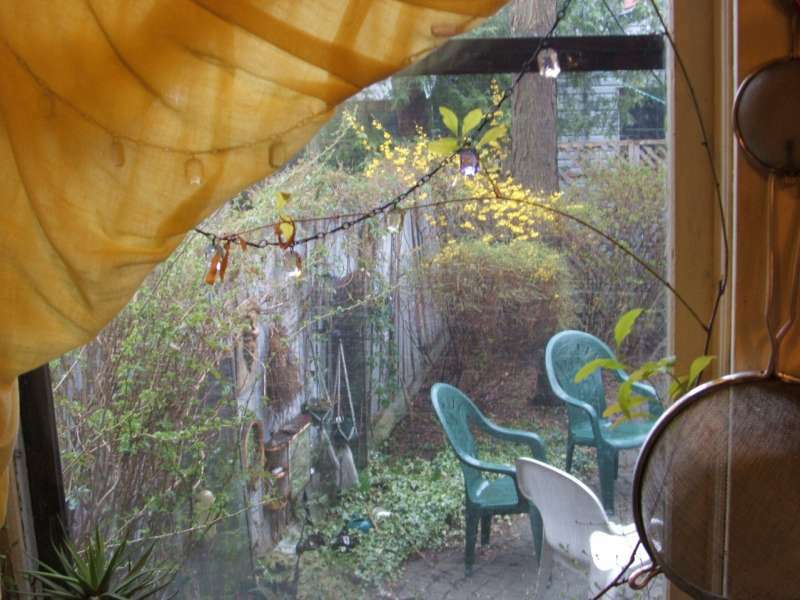 While you are waiting for them to cook, makes sure to look out the window and admire the fleeting beauty of the forsythia flowers. 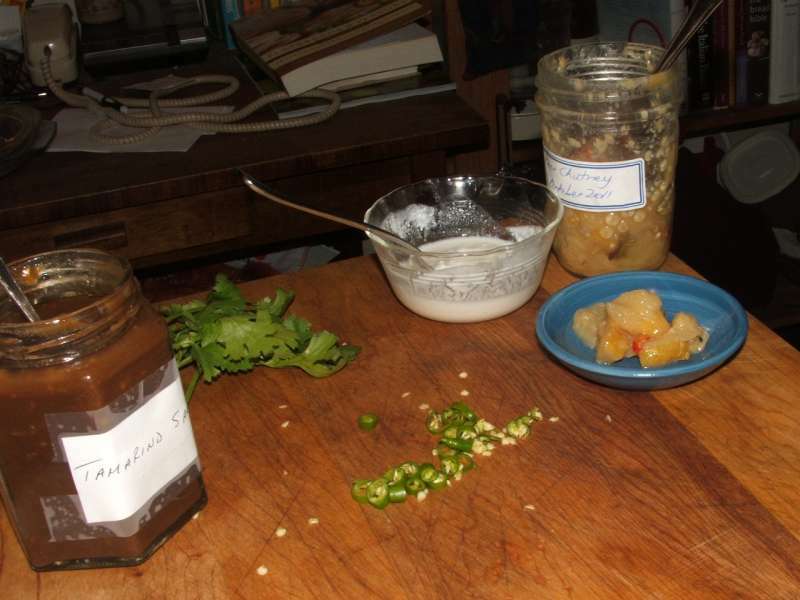 Get the condiments out: coriander leaf, tamarind chutney, pear chutney, yoghurt, chopped green chili. Serve the chole in a heated bowl. 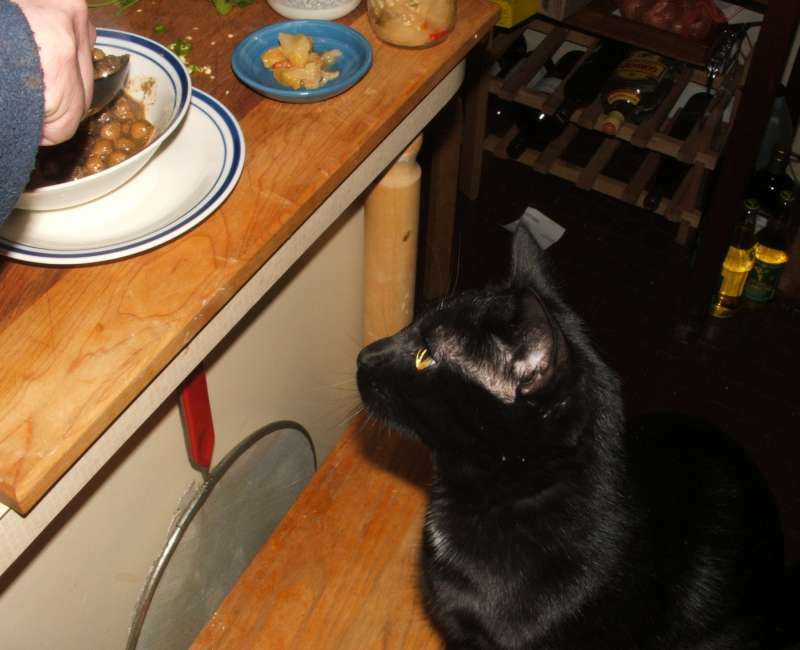 Tell the black creature to keep his lunch hooks off. 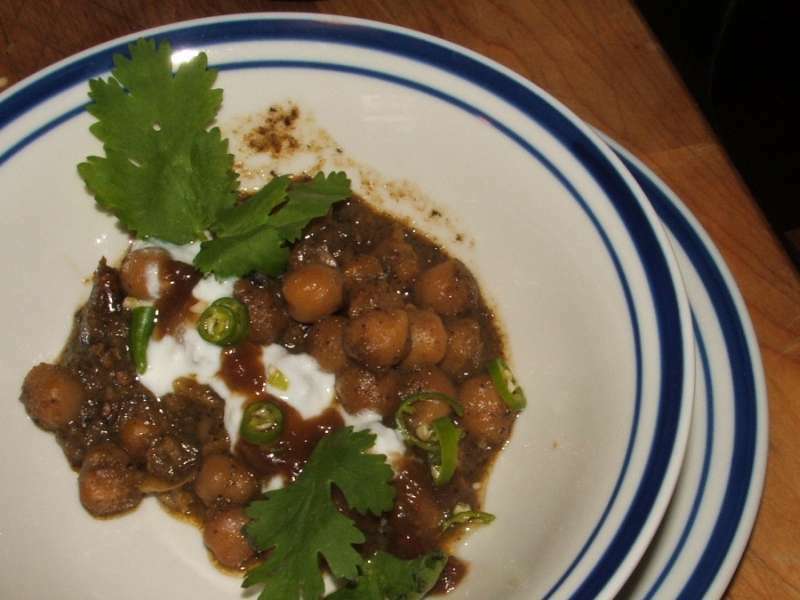 Drizzle yoghurt and tamarind chutney over the chole. 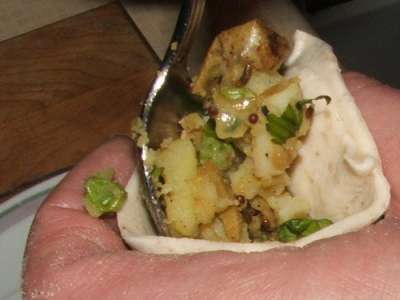 Sprinkle on some green chile coins and garnish with coriander leaf. No, Blynky, no!! 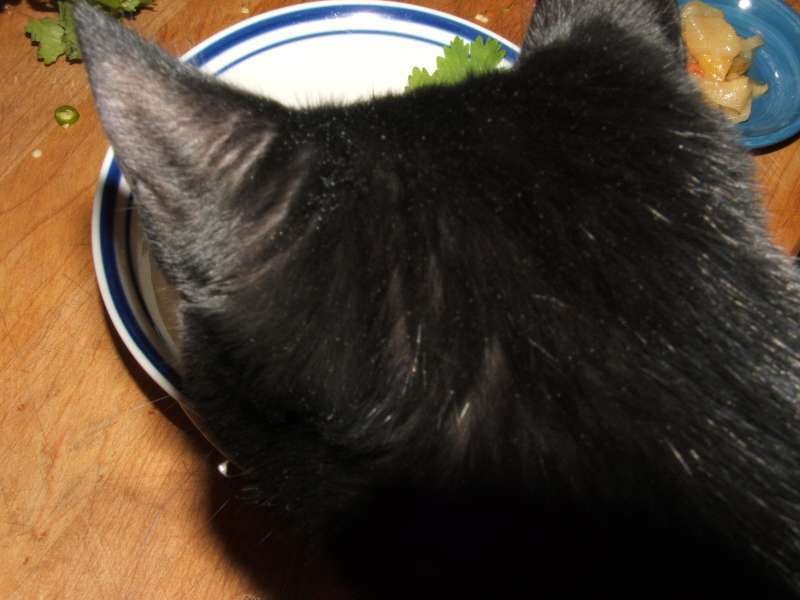 That's NOT for you. Put black furry creature back on the floor where he belongs. 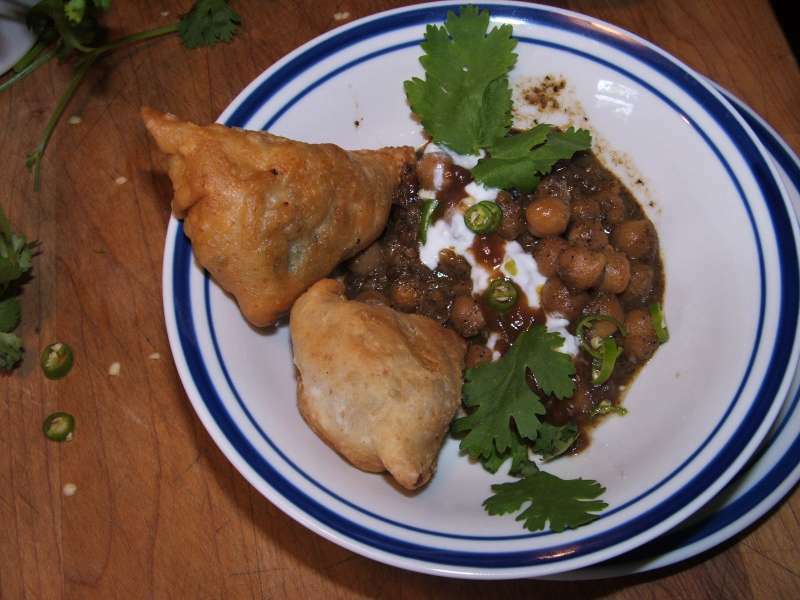 Place samosas on the side of the bowl. 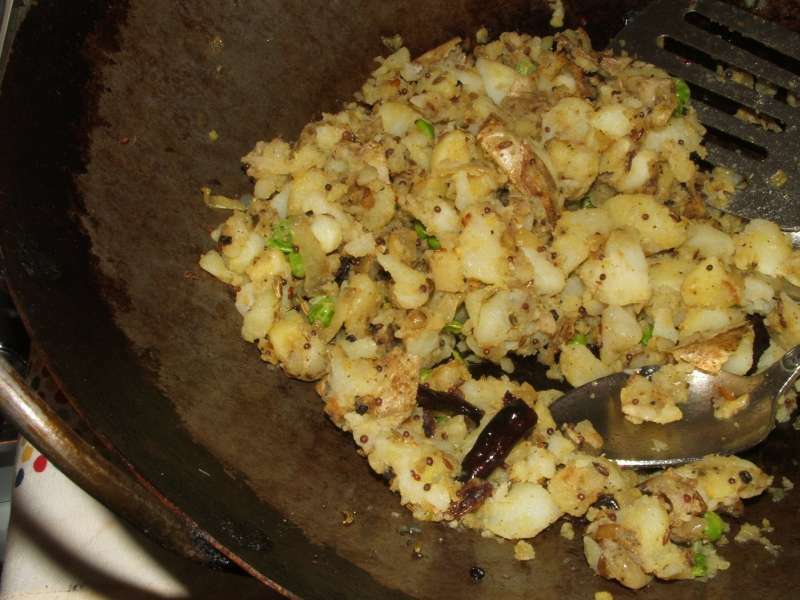 Add a little pear chutney. And dig in. Mmmmmmm! 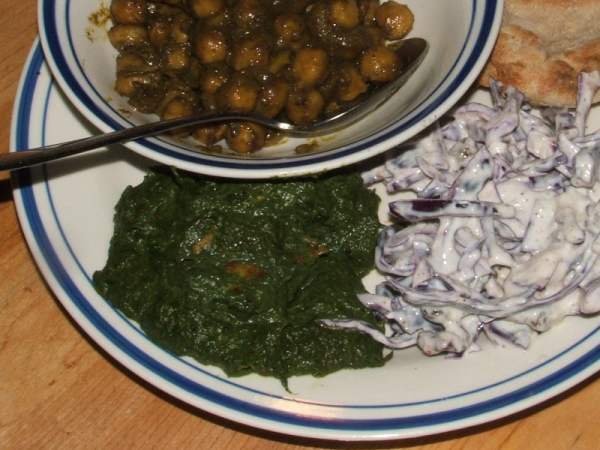 April 2008: Chole with palak paneer, naan and red cabbage raita.